Find out which marine beaches have advisories or are closed to swimming, and which beaches are closed to shellfish harvest. An online directory for public shellfish harvesting opportunities in Mason County, including directions, harvest profile and other useful information. 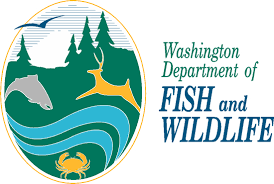 Stay in compliance with Washington State recreational shellfishing laws by knowing the species-specific rules, including what you can harvest, how often, and special handling instructions. ​Important information regarding toxins and bacteria which can become a health problem if shellfish is improperly harvested or inadequately cooked.